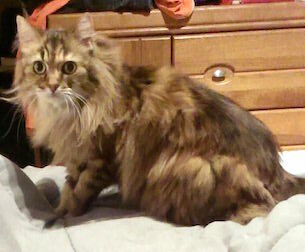 Lost small orange and dark brown female on Friday, November 14th in Ste-Rose, Laval. Around Rue Galipeau, boul. Archambault and terr. Dufferin. She is very wild. Please check your sheds or pool. Thank you. Is that cutie at http://spcamontrealpf.blogspot.ca/ yours?